Recharge as you are surrounded by the majestic lakes of Dumaguete and have a look around Dumaguete City! 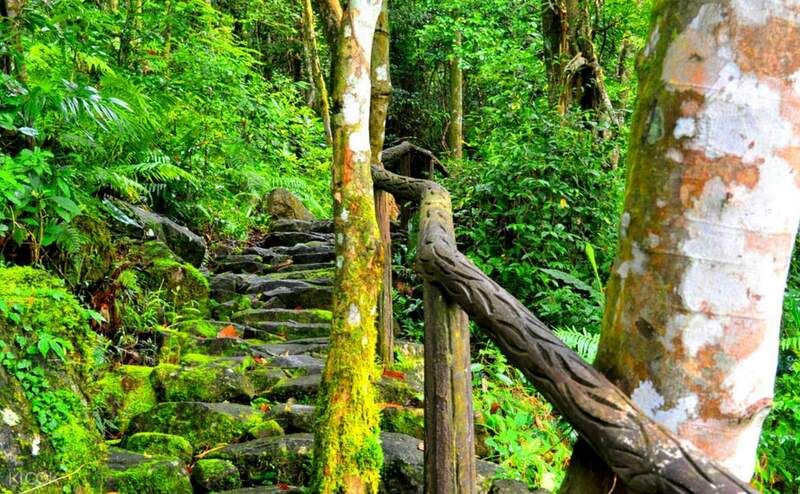 Make the most of your Dumaguete visit by exploring not just famous city spots but also the tranquil and lush forests nestled at the Balinsasayao Twin Lakes Natural Park! 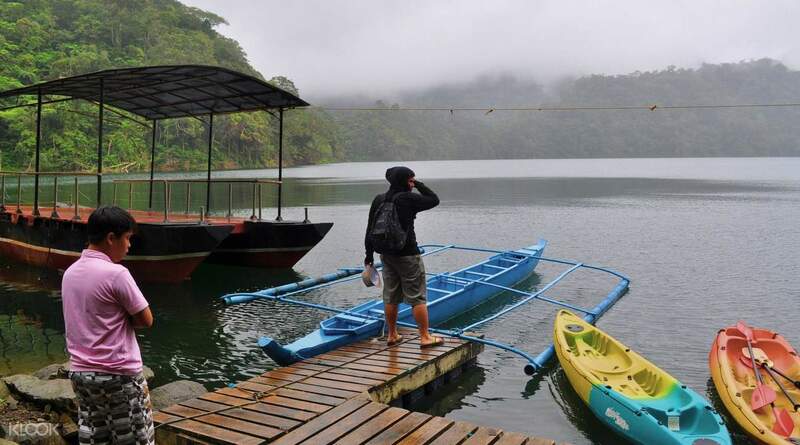 Tucked away in the mountains of southern Negros are the captivating Lake Balinsasayao and its twin, Lake Danao. These freshwater crater lakes rise 1,000 feet above sea level, separated by a narrow mountain ridge. Your guide will show you around the forests, teeming with diverse flora and fauna, including rare species such as the Japanese Night Heron. Conclude your trek with a kayak ride to the center of the lakes. There is a small canteen selling beverages and light snacks in the area should you prefer to have lunch along the lake shore. After your commune with nature, your guide will bring you back to the city for a visit to prominent locations such as the Siliman University and do a bit of shopping at Handumanan Souvenir Shop before returning to your hotel. Ask your driver to take you to the famed local restaurant Lab-as Seafoods, a popular restaurant by the sea, which offers live fresh fish, crabs, oysters, and other native specialties! Twin Lakes of Balinsasayao is an awesome mountain experience. Giant trees all around you and reach the quiet, peaceful lake that makes you forget all the hustle and bustle of the city life. You hear birds chirping and butterflies fleeting all around makes you feel you are in a Jurassic movie minus the dinosaurs. To make the trip complete, try boating around the lake and have a sumptuous meal at the mountain pavilion. Just prepare for the treacherous climb for it is still dirt tracks and narrow. Visit in the City was also nice. Got to see the Siliman University and ate at the famous Sansrival Cakes and Pastries. 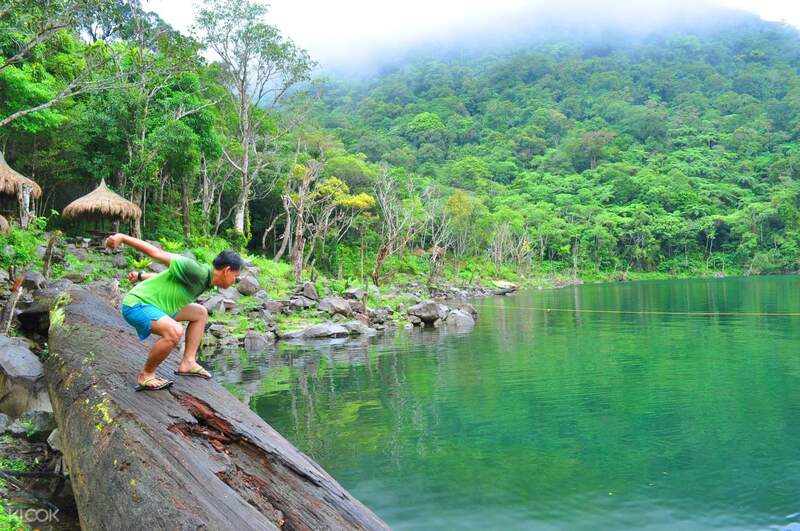 Twin Lakes of Balinsasayao is an awesome mountain experience. Giant trees all around you and reach the quiet, peaceful lake that makes you forget all the hustle and bustle of the city life. You hear birds chirping and butterflies fleeting all around makes you feel you are in a Jurassic movie minus the dinosaurs. To make the trip complete, try boating around the lake and have a sumptuous meal at the mountain pavilion. Just prepare for the treacherous climb for it is still dirt tracks and narrow. Visit in the City was also nice. Got to see the Siliman University and ate at the famous Sansrival Cakes and Pastries. A must for nature lovers and bird watchers too. Take a dip in the cool pristine Ulayan Falls. Have a natural pedicure with fish eating out dead skins in your feet. The total adventure for young and old. A must for nature lovers and bird watchers too. Take a dip in the cool pristine Ulayan Falls. Have a natural pedicure with fish eating out dead skins in your feet. The total adventure for young and old. to bad it rained on top at the lakes. nevertheless, the beauty of nature makes u feel humble. make sure to visit the museum at the sulliman university. to bad it rained on top at the lakes. nevertheless, the beauty of nature makes u feel humble. make sure to visit the museum at the sulliman university. It was relaxing. The view was nice as well. It was relaxing. The view was nice as well.